The familiar tale of Benedick, Beatrice, Hero, Leonato and fan favorite Dogberry, among many other iconic characters, brought to life the Shakespeare classic play Much Ado About Nothing this past week on the C Gym Theatre stage. Three incredible performances ensued, showcasing multitalented student actors and crew members who spent months in preparation for this special show. Jenna Bobbora ’19 who played the character of Beatrice was thankful for the opportunity to learn and perform Shakespeare. From casting to final curtain, this show has been in the works since last school year. In that time, there were countless rehearsals, meetings, props created, costume fittings and memories made. The ones who were there through it all and made this wonderful show happen were directors Cindy Blades, Claire Westmoreland and the host of volunteer parents. 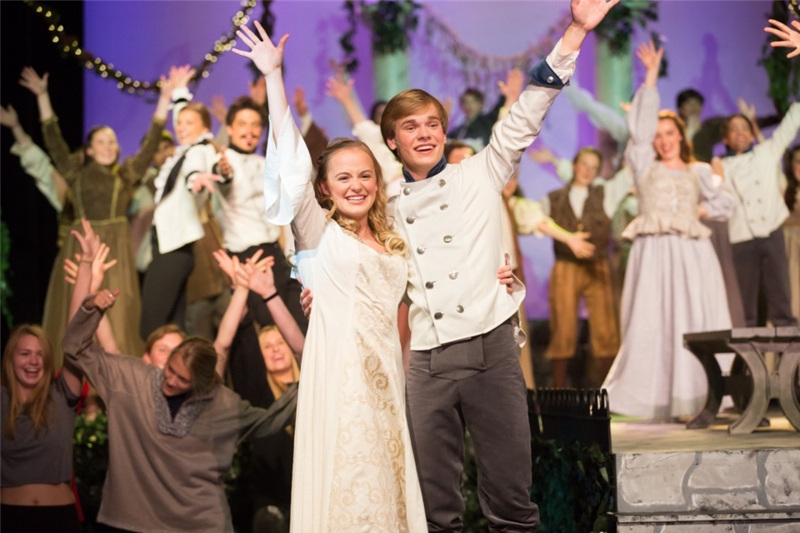 Click here to view photos from Much Ado About Nothing. Click here to view a video of Much Ado About Nothing Tech Week.